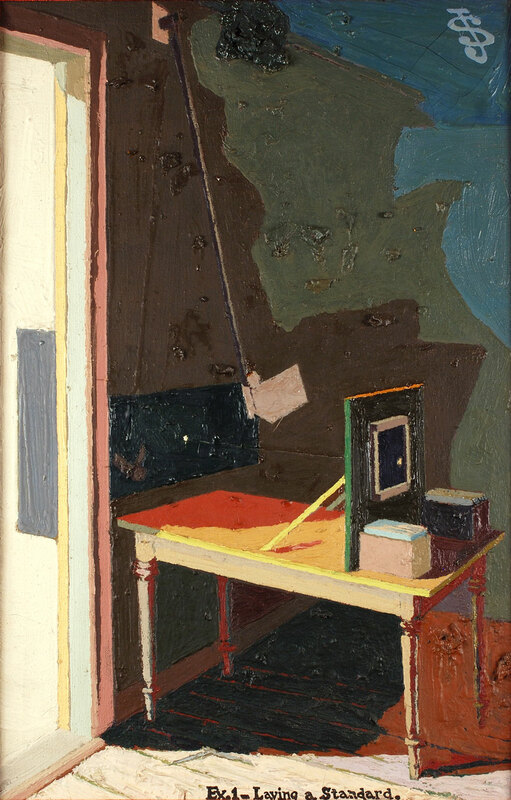 Some of Jess’s early works show the influence of his teachers, including Elmer Bischoff, Edward Corbett, David Park, Hassel Smith, and Clyfford Still. 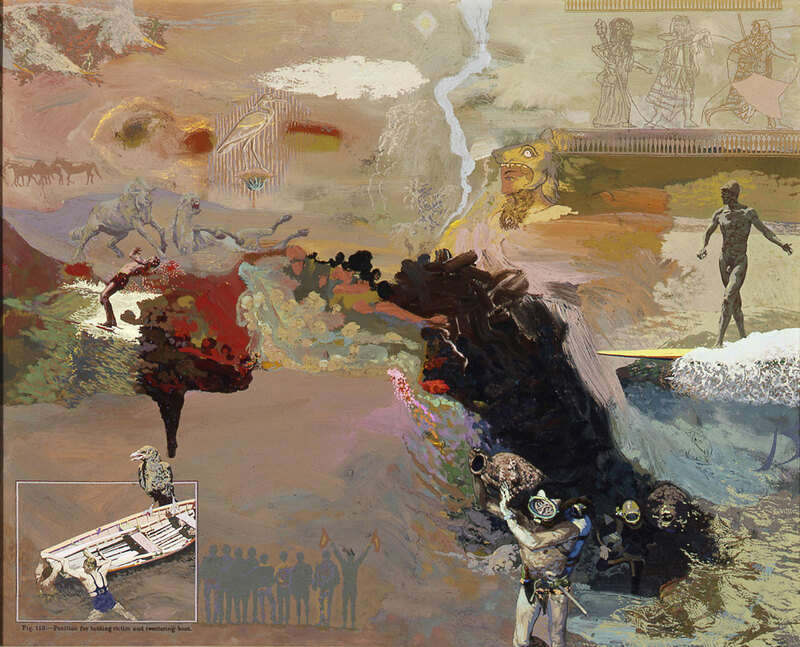 Later, throughout the 1950s and 60s, he produced over a hundred canvases evoking mythic, enchanted landscapes, many including figures. These often visionary paintings have been increasingly appreciated in recent years. 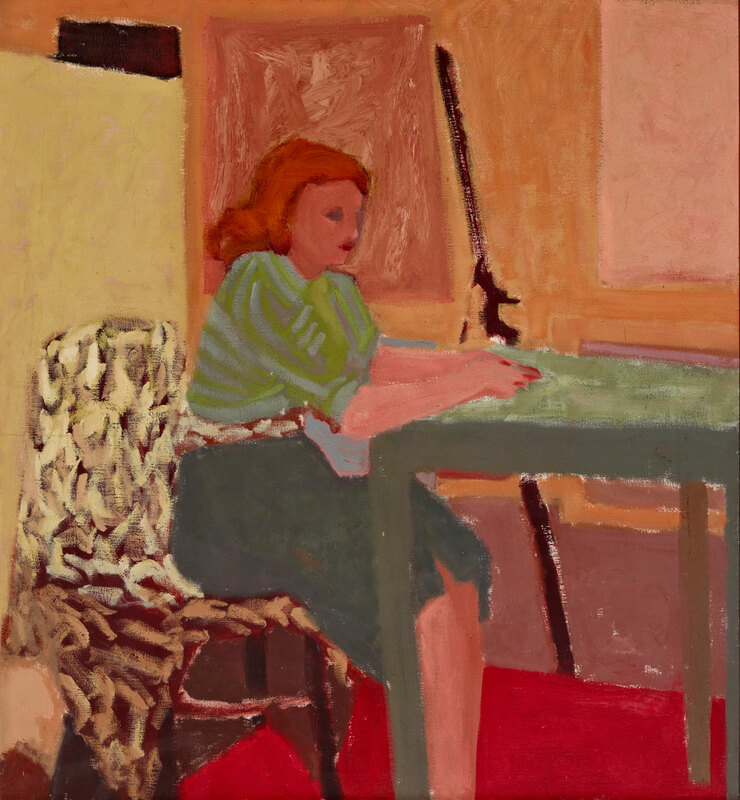 Between 1959 and 1976 Jess worked on a series of thirty-two “Translations,” faithful reproductions in oil paint of a variety of found images including engravings, photographs, artworks and illustrations. Each work includes fragments of literary text, either integrated into the painting or written on the back. 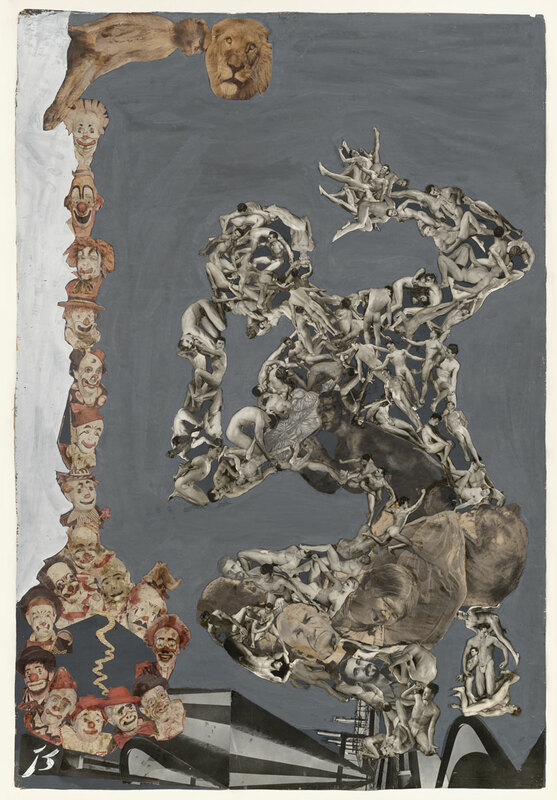 Jess’s earliest collages, which he preferred to call “paste-ups” for the association with childlike play, date from 1951. Combining magazine illustrations, comic strips, engravings, Tarot cards, and eventually puzzle pieces, the paste-ups grow more complex with time, the later examples containing hundreds or even thousands of fragments. Visual and verbal puns organize the intricacies, as the viewer’s attention is drawn inward to Jess’s constellations of myth and imagination. For his Salvages series, nine paintings in all, Jess recycled his own saved older canvases and found thrift shop paintings. Like the Translation series, each image is accompanied by a literary text that is not directly interpretative but intended to elaborate the potential meaning of both text and painting.